"It's funny - when I think about Christmas I can almost smell it! The heady pine scent of the tree, the spicy cinnamon and clove of the mulled wine - it's an utter delight to the senses! But for me there's nothing that conjures up the spirit of the season quite like the heavenly aroma of a big gammon joint roasting in the oven. Rich and mouth-wateringly indulgent it promises forthcoming praise for the cook (that's me) and of course, happy sighs of contentment from family and friends. What it also promises though is a day off (well virtually). For if you're lucky enough to have any leftovers, gammon is so versatile it can be easily whipped up into something fabulous tomorrow. It's no secret I'm a bit of a perfectionist. When I'm buying gammon I want to be sure that what I'm buying has been produced to stringent quality and welfare standards. That's why I'll be choosing Quality Standard Gammon for my festive table. It's glorious." As many a chef knows, Christmas is not just one day every year  the festive season lasts a fortnight with people coming over in the lead up to Christmas, Christmas Eve, Boxing Day and New Years Day, forcing you to keep variety in mind when it comes to planning your meals and serving food to your guests. A different choice in meat can make all the difference - you want to entice your friends and family with something new and exciting. So why not choose Quality Standard Gammon. 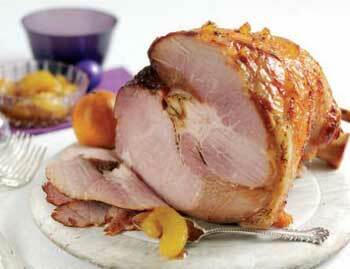 It is a popular meat for the festive period, not least because it is incredibly versatile and so easy to cook. 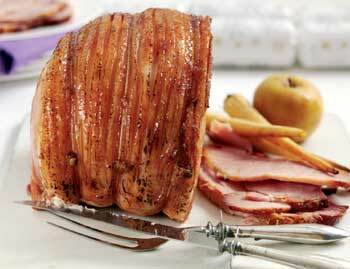 It is available in a variety of glazes, smokes or cures which all go to make a delicious roast. But equally it is also great when used to create a variety of tasty meals which means you can offer something to please everyones taste buds. 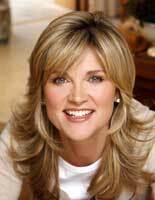 In the following video, TV presenter Anthea Turner shows you how to prepare a simple clementine relish with ginger beer-basted gammon, as well as delicious left-over dishes such as Ham Thai green broth or Gammon, Cranberry and Chestnut Tart that will continue to surprise your guests throughout the festive season. As an approximate guide allow 100g (4oz) per person when buying boneless joints and 170g - 225g (6oz - 8oz) per person when buying bone-in joints. This isn't allowing any for luscious leftovers though! Either or a combination of the two. Weigh the joint and work out the cooking time. 20 minutes per 450g / ½kg (1lb) plus 20 minutes. You can boil for all of the cooking time or do half and half. Baking in the oven for the last half of the cooking time will give a lovely caramelised appearance to the fat, especially if you add something sugary in the last 15 minutes. Marmalade, Maple syrup or Honey all work well. Takes 20 minutes per 450g / ½ kg (1lb) plus 20 minutes. Double line a large roasting pan with foil. Place joint in roasting pan, pour over ginger beer. Cover with foil and carefully put in oven for calculated cooking time. Remove pan from oven and carefully remove joint. Tip off juice and discard. Remove the rind and score the fat into diamonds. Return to the roasting pan, but line with foil. Bake for 10 -15 minutes until glaze is golden brown. Place onion in a small pan with oil and cook for a couple of minutes. Add remaining ingredients and simmer with lid on for about 10 minutes until onion is soft and liquid syrupy. Pre-heat oven to GasMark 4 - 5 / 180°C / 350°F. Double line a large roasting pan with foil. Place joint in roasting pan and pour over the cider, apple sauce, calvados and add whole apples. Place another piece of foil on top and roast in oven. Baste and turn joint over half way through cooking time. Remove joint carefully from oven. Remove rind from joint and score the fat. Baste the joint with the juice and sprinkle the fat with sugar and return to oven for further 10 - 15 minutes to brown. The juices can be used as a sauce, but taste first as they may need a spoonful of brown sugar depending on the saltiness of the joint.